Frozen Olaf, Anna, Elsa, Kristoff Figure (4-Pack) Just $6.97! You are here: Home / Great Deals / Amazon Deals / Frozen Olaf, Anna, Elsa, Kristoff Figure (4-Pack) Just $6.97! Head over to Amazon and get the Frozen Olaf, Anna, Elsa, Kristoff Figure (4-Pack) for just $6.97! Shipping will be FREE with Amazon Prime or an order of $35 or more. After a prophecy traps their kingdom in eternal winter, Anna and Kris off, the daring mountain man, set off on a wild journey full of magic, adventure and newfound love! Re-create the love and adventure of Disney’s Frozen with this 4 pack of Disney’s Frozen Figurines. 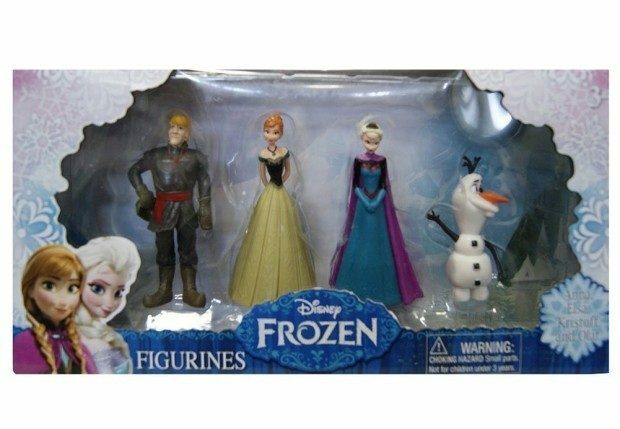 This figurine 4 piece set features 4 of your favorite characters from the Frozen film including Anna, Kris off, Elsa and Olaf too!